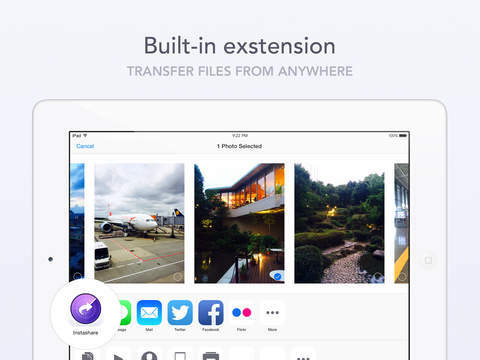 Transfer files the easy way, just drag & drop the file and we will handle the rest. Like Apple AirDrop, but works and on all major platforms and computers that don’t support AirDrop. 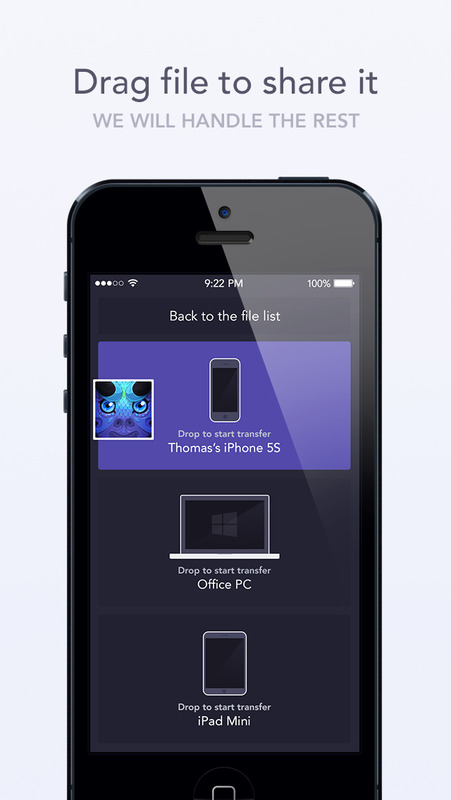 Apps are available for iOS, OS X, Windows, and Android. 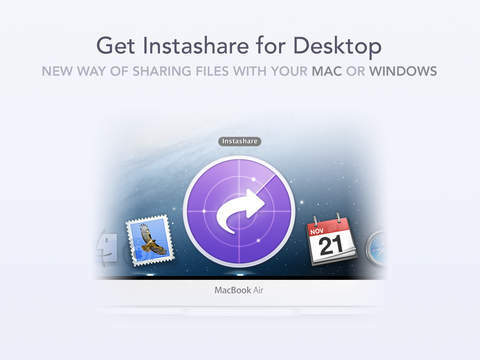 You don’t need to be tech-savvy to share files, photos or videos. 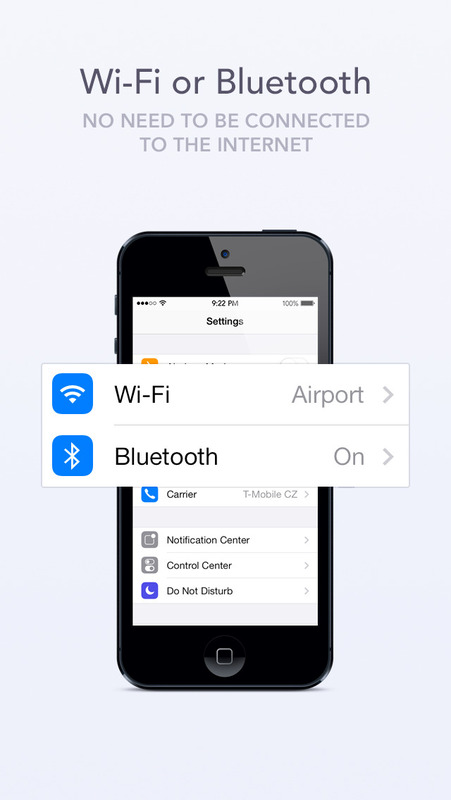 No need to pair devices or set up a transfer to send files or photos. Designed for quick and easy sharing of files, photos, and videos from your PC or Mac to your iPad, iPhone, iPod touch or even from an Android device, photos and videos are automatically saved to the ‘Camera roll’ album. 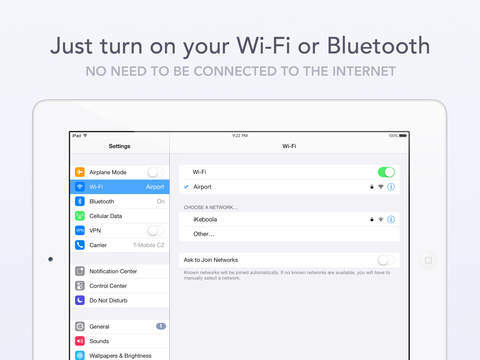 You don’t need to be connected to the internet, just use a local wi-fi or Bluetooth (iOS and OS X only) to transfer files. You don’t need to use the latest device or OS available, works with older systems as well, from iOS 6, iPad 2 or iPhone 4.